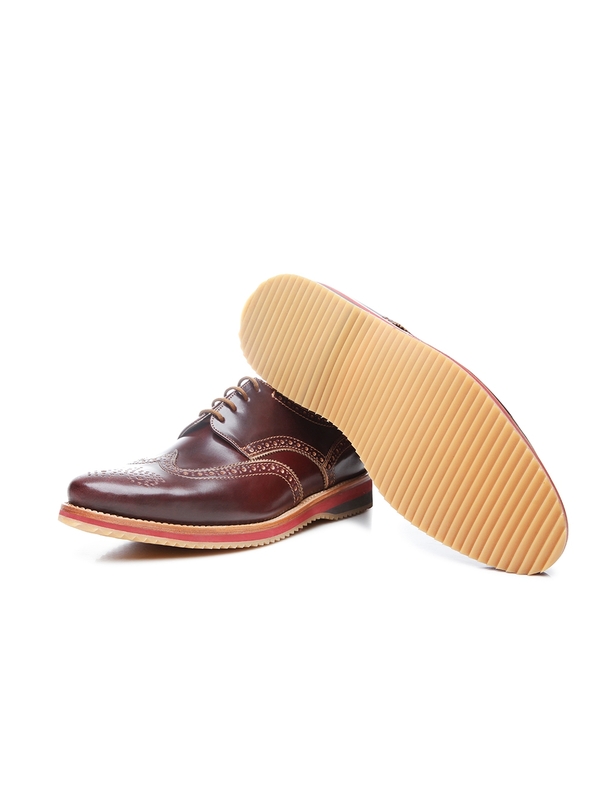 In terms of its basic shaft cut, this handcrafted, sewn-welted men’s shoe is a dynamic full-brogue Derby with open four-eyelet lacing. 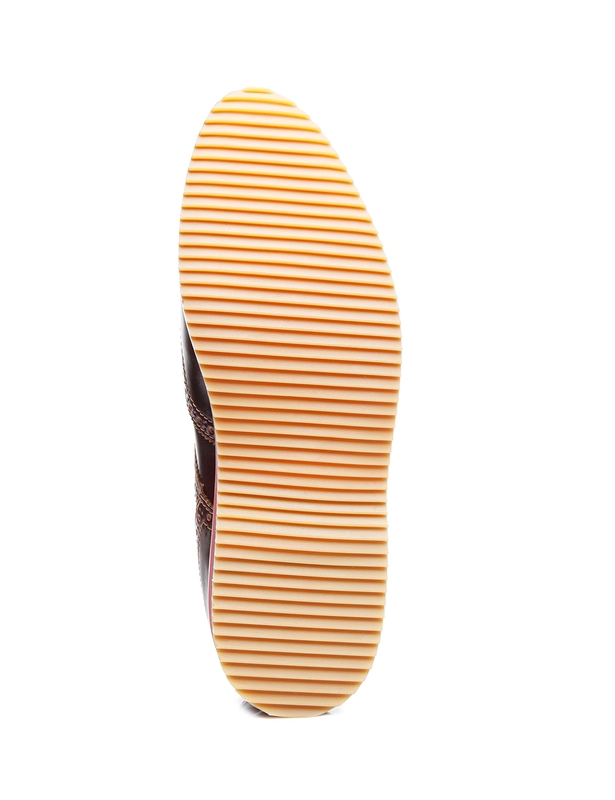 Curved Lyra perforation adorns the heel and wing caps as well as the edges of the shaft pieces. 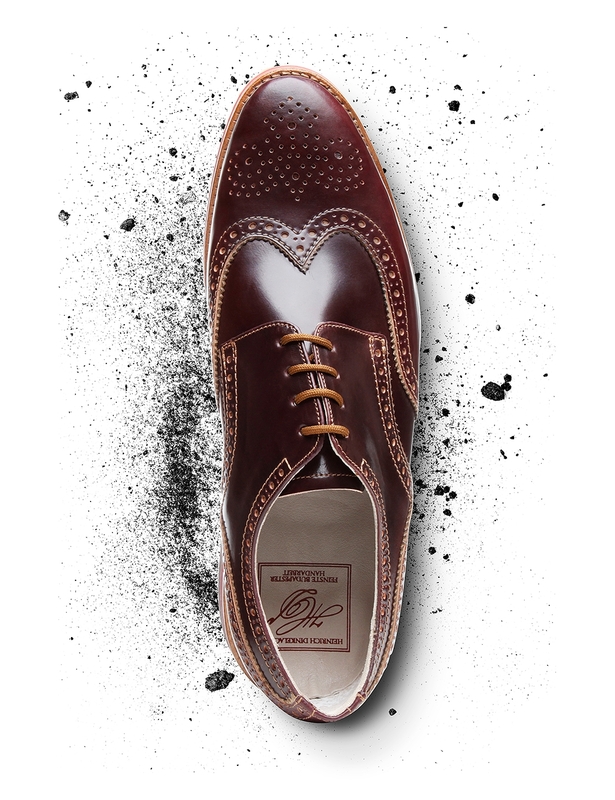 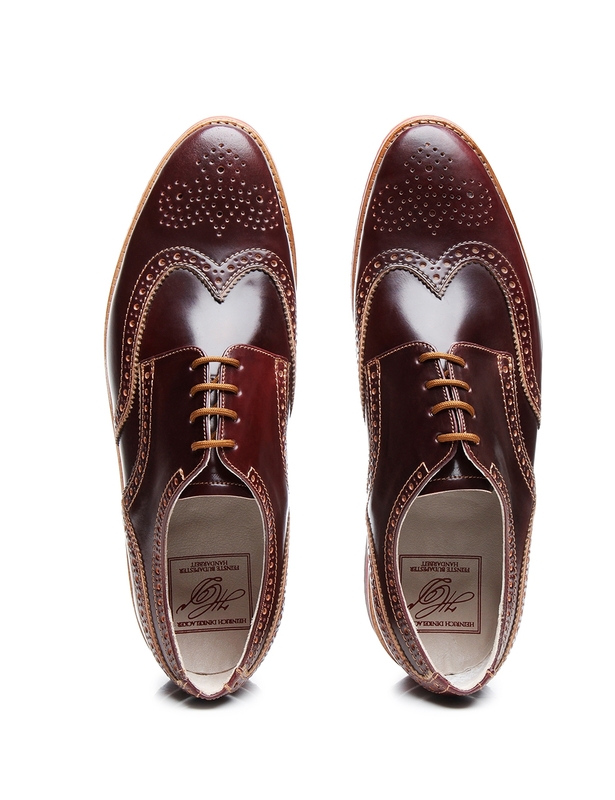 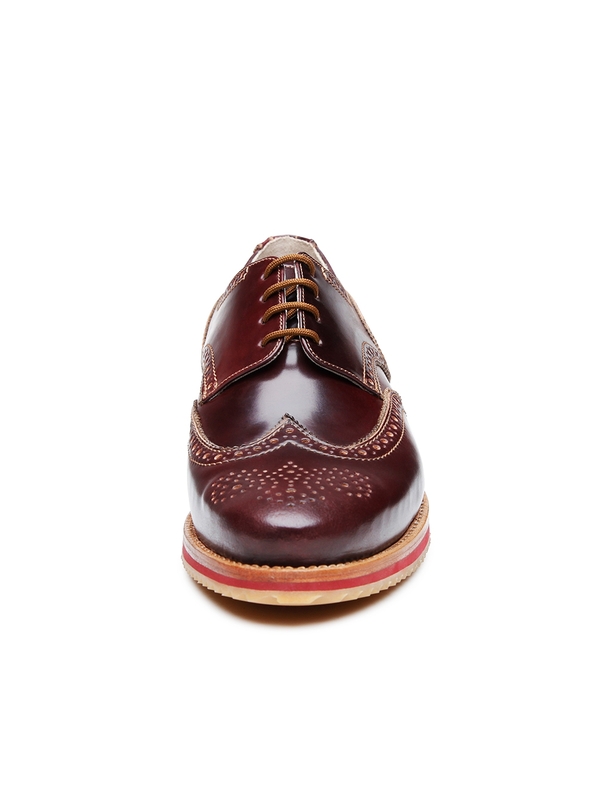 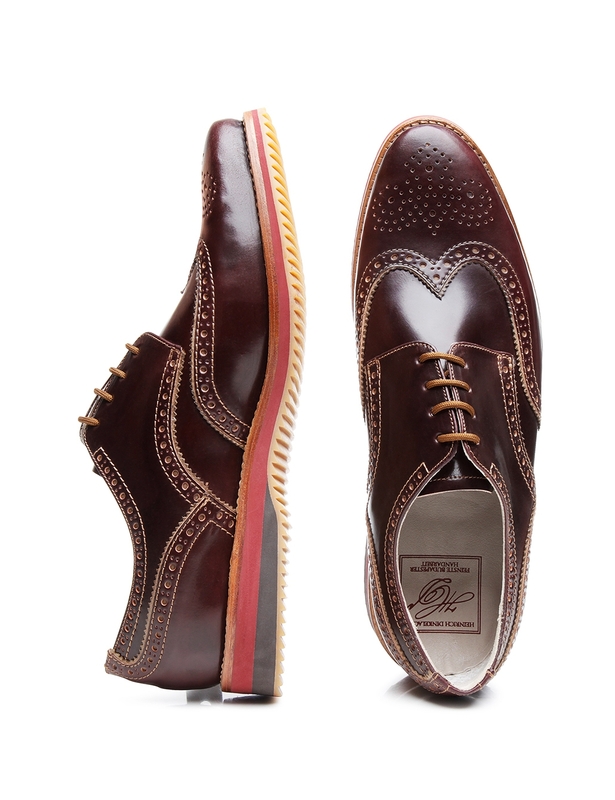 The supple, gleaming oxblood shell cordovan from which the upper is made also underscores the traditional elegance of this classic British shoe. 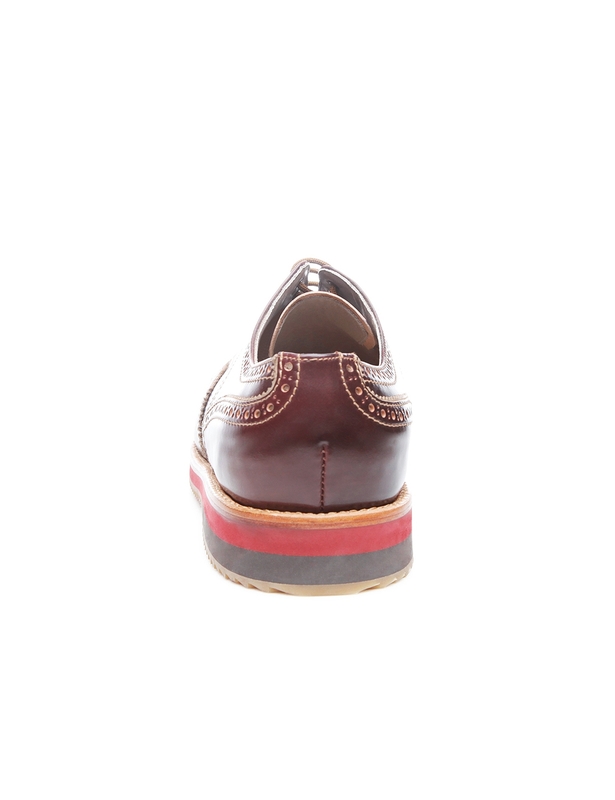 This model boasts a light and modern feel, though, thanks to its multi-coloured wedge sole and the gently tapering Campus last that was used in its assembly. 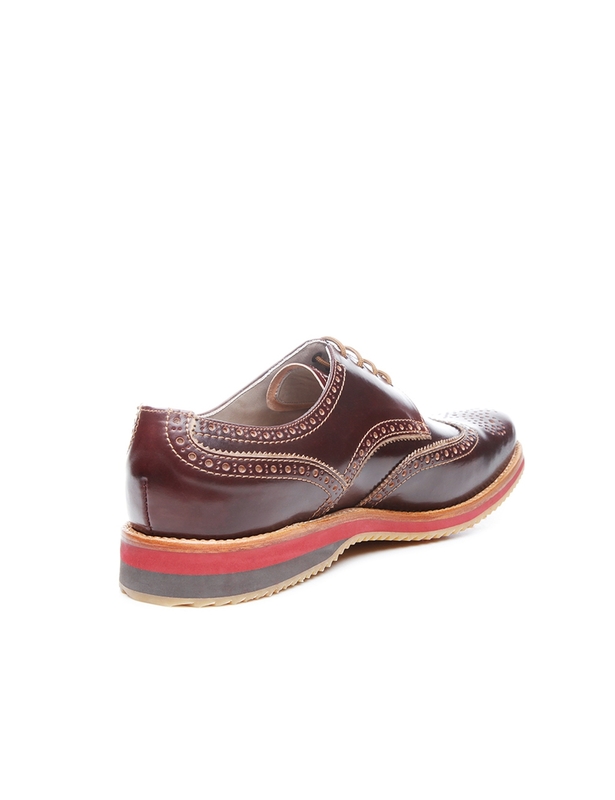 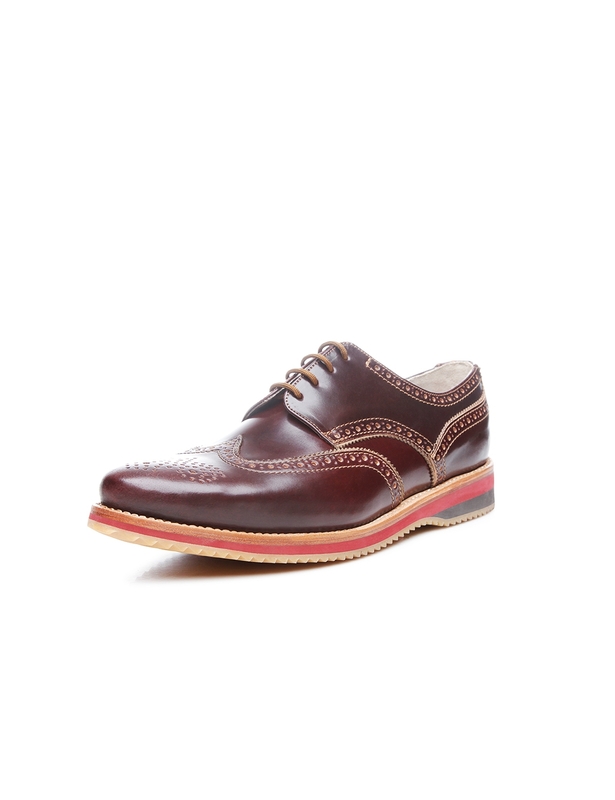 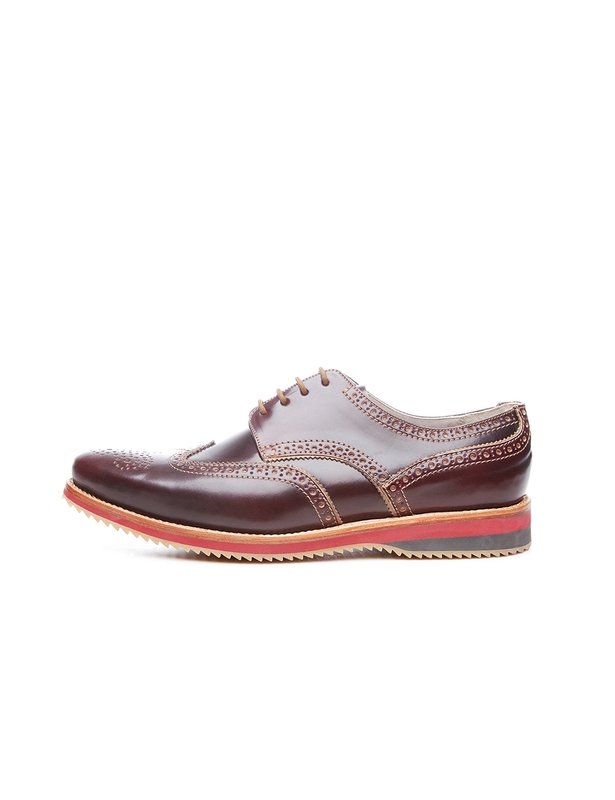 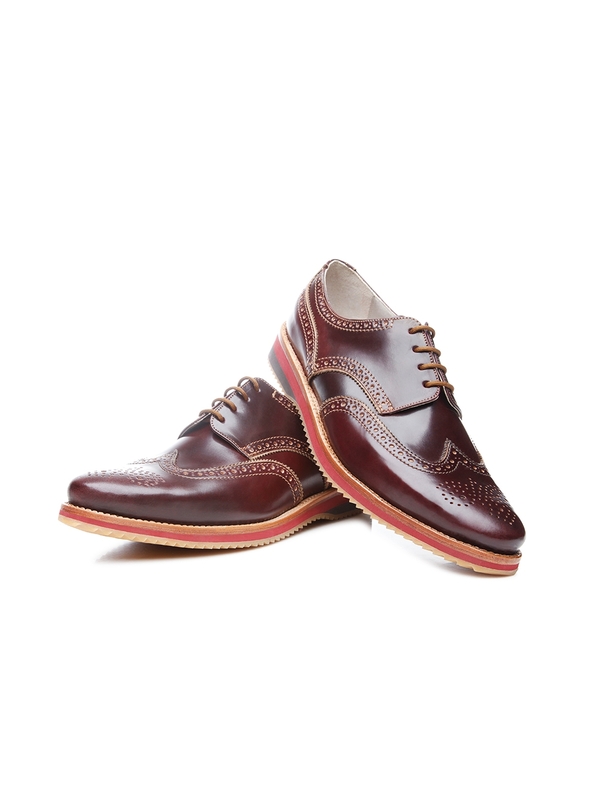 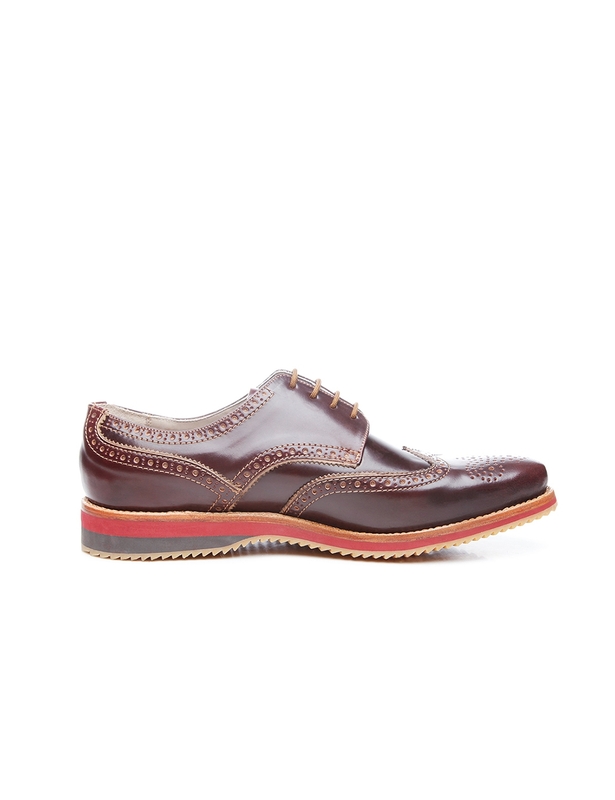 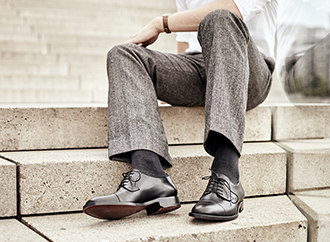 In sum, this men’s shoe is a luxurious choice for leisure activities as well as informal business environments.